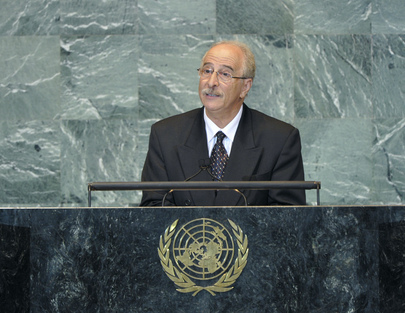 Dr Mohamed Mouldi Kefi is a retired diplomat and Tunisia’s Minister of Foreign Affairs during the transitional government of 2011. Dr Kefi is an experienced diplomat with several years of experience in foreign service; he was recalled 5 years after retirement to assist in Tunisia reconciliation effort after the 2011 revolution. According to Kefi, “I was called back in 2011 as a head of Tunisian diplomacy and we tried to borrow something from the experience of Gandhi and Mandela to reconcile all Tunisians.” Dr Kefi’s exemplars of forgiving leaders are Prophet Mohammed, Mohandas Gandhi, Nelson Mandela, and Martin Luther King Jr. He is also very conversant with love and forgiveness exemplary leaders like Vaclav Havel of Czechoslovakia, Michelle Bachelet of Chile, Lech Walensa of Poland and Abdurrahman Wahid of Indonesia. Dr Kefi said that he first drew inspiration about love and forgiveness from the Prophet of Islam. He points out, “as soon as Mohammed entered Mecca the first thing he said is “go free the people who tortured, harassed and killed the first Muslims”. Kefi further said, “Prophet Mohammed did not take revenge over Wahshi  who killed his uncle Hamza, and did not punish Hind  who ate the liver of Hamza. Kefi underlined that Mohammed forgave Wahshi, Hindu and many others who did a lot of harm to the first Muslims.” He also said that “Mohammed forgave, Yahooj a girl that tried to poison him.” Kefi underlined that Prophet Mohammad embodied love and forgiveness and that his exemplary life style and practices need to be emulated. Dr. Kefi emphasized the challenges that the Tunisia transitional government faced after the 2011 revolution and how they were resolved. First, he said that during the last regime, there were many young diplomats in the foreign affairs department who did not get fair appointments or advancement in their careers because of poor leadership from the previous regime. He maintained that they expected that the revolution would solve their problems. The second challenge that he motioned was the call by some individuals for mass sacking of people who were in leadership positions during the previous regime. According to him, these agitations were so strong and Tunisians demanded quick responses to their demands. The transitional government was left in a dilemma as the fragile political and security environment in Tunisia after the revolution did not give room for long-term deliberations on the issues. However, Dr. Kefi was grateful to God that with the help of the President and Prime Minister they were able to settle many disputes and improved the situation of young diplomats. He also said that they prevented any harm to the people that worked for the former regime, because they might have acted based on the orders that they received from their superiors. He maintained that the people that worked for the former regime were reintegrated after the transition and they carried on with their jobs. Dr Kefi and his team disregarded the calls from some aggrieved Tunisians for demotion, suspension or automatic dismissal of previous regime’s staff. Kefi’s policy was that it is not proper to dismiss someone just on the basis of their political affiliation. Dr Kefi believes in justice and forgiveness and not revenge in settling Tunisian disputes. Only then can new generations live in peace and prosperity. Wahshi Ibn Harb was the Ethiopian slave of Jubayr ibn Mut’im and a Sahabi. He is best known for killing a leading Muslim general, Hamza ibn ‘Abd al-Muttalib Muhammad’s uncle, prior to accepting Islam. May God be pleased with him. Hind bint ‘Utbah was the wife of Abu Sufyan ibn Harb. Both Abu Sufyan and Hind originally opposed the Islamic prophet Muhammad before their conversion to Islam. Yajooj Majooj is an evil nation mentioned in the Quran as well as in Christianity Gog/Magog. Source: Adapted from Interview with Dr Mohamed Mouldi Kefi by the Love and Forgiveness in Government team, December, 2012. In a region troubled by political turmoil, it is quite remarkable to find someone who values love and forgiveness and projects that through his policies. Mr.Kefi’s ability to transcend the norm of political retribution and punishment and instead replace it with love and forgiveness makes him an exemplary man and a remarkable leader! Islam is a religion that, in more recent times, has been used to defend more deplorable actions rather than good ones. Thus, it is extremely nice to see Kefi understand the true essence of the religion, and use that as his basis for practicing peace and tolerance for all. His show of forgiveness towards the Tunisians, and his belief that he did so because it was what he learned from his religion, is also very admirable.